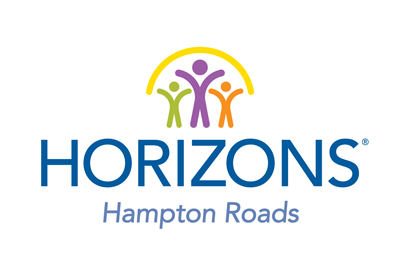 Horizons Hampton Roads is an approved Neighborhood Assistance Act Tax Credit Program (NAP) under the Department of Education. The Neighborhood Assistance Act Tax Credit Program for Education is a Virginia tax incentive which promotes contributions to organizations whose primary function is to provide educational assistance to low income individuals or students with disabilities. Tax credits are distributed by the Commonwealth on a first come first serve basis, until the organization’s available credit for the time period is exhausted. Virginia state income tax credit of 65% is available to donors who make qualifying contributions to Horizons Hampton Roads. For example, if you donate $1,000 to Horizons Hampton Roads, you could be eligible to receive a tax credit of $650, which is subtracted off the amount you owe for Virginia State Income Tax. Your net out of pocket is $350 or less. A tax benefit for supporting a great organization! Contact Horizons Hampton Roads to check availability of NAP credits. Individuals must donate a minimum of $500 in cash and/or securities. Maximum donation of $125,000 for individual donors. Corporations must donate a minimum of $616 in cash, stock, merchandise, real estate, or certain professional services. There is no maximum donation for corporations. A NAP form must be completed, signed, and mailed to Horizons Hampton Roads for verification of donation and submission to the state. You will be required to document your social security number and provide your original signed copy. To make a gift and find out more, please contact January Serda, Director of Development, (757) 412-0249 ext 4 or visit the Virginia Department of Education’s website to learn more.